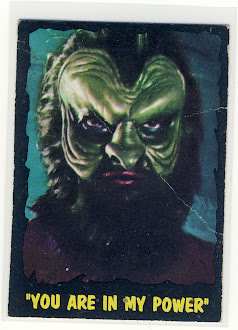 Heartbreaking Cards of Staggering Genius: Before It Was "Mars Attacks" It Was "Attack From Space"
Before It Was "Mars Attacks" It Was "Attack From Space"
But that is nothing compared to the most expensive Mars Attacks item out there. 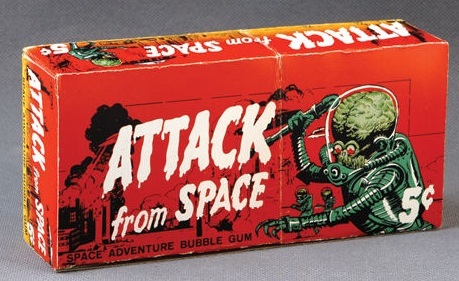 It is a gum box which seems to be a prototype of the Mars Attacks set before it was even called "Mars Attacks." At first the series was going to be called "Attack from Space" but you can clearly see it's the same old Martian enemy design. This piece of cardboard has a price tag of $185,000. Yes, you read that right. For that amount maybe I'll just develop my own time machine and go back to 1962 to experience what "space adventure bubble gum" tasted like. Man those prices are crazy... I love that card and the one where the dog is getting vaporized. Great looking set of cards, shame they won't just make a reprint for a price that normal people can pay. 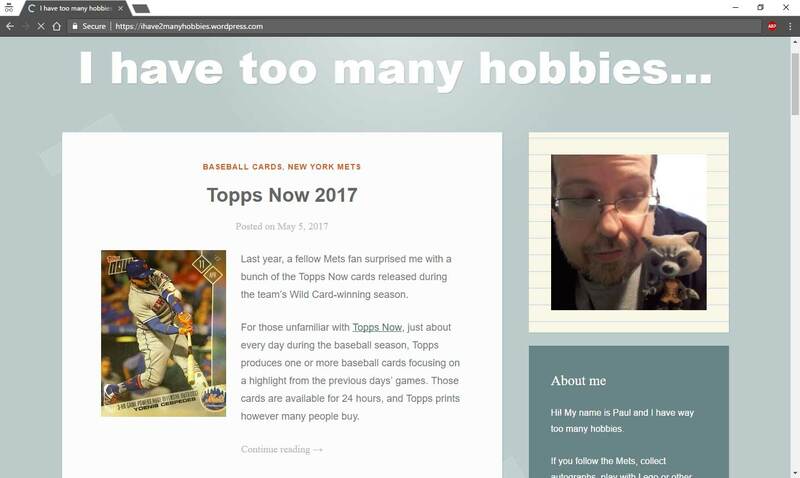 I notice you have an Outer Limits card on your sidebar there, too. 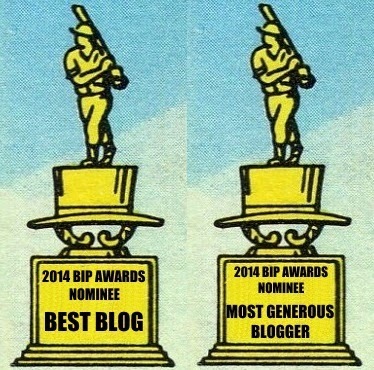 I wish those cards were in realm of affordability, too.